Raised access flooring’s are basically as a structure of panels and supports that create a raised floor above the original structural floor. It is done to raise the floor up, and create a space in between the raised floor and the building structural floor where various items like wiring for power, voice, and data can be planted or plumbing lines can be located. As a result, raised floors with underfloor service distribution have become standard solutions in commercial and in many cases residential constructions today. TOP SURFACE supplied Raised Access Floor systems provide an effective solution to these type of requirements, while delivering the best performance and benefits in improving the indoor environment.Our products and solutions provide you complete peace of mind and sustainable returns by reduction in energy consumption and material use, and at the same time prove highly cost effective in comparison to traditional construction material. Raised access flooring can be very easy to take care of in terms of maintenance. Let our tailor-made solutions take care of your project and offer you the bliss of quality product at the most cost-effective rates. TOP SURFACE is the raised access floor specialist in Dubai. We are the leading supplier and installer of quality access flooring systems in entire UAE. We supply and install quality raised access flooring for high profile commercial projects since we provide the most professional raised floor installation services. We offer a wide range of finish options and numerous opportunities for customization with our variety of steel and aluminum panels. We have built an impressive portfolio of projects that serves as a testament to the reliability and quality of our services. Raised access flooring offered by TOPSURFACE, brings you a solution that allows you to transform your office space into a modern and efficient functional space at the minimum cost without the need for additional props.Our team has the credentials and experience to execute projects of any scale or complexity. We proudly flaunt our years of experience; a highly qualified and licensed team; a wide range of raised flooring solutions; durable and strong floor panels; wide variety of solid under structures; high pressure laminate and conductive vinyl floor anti-static coverings; cable management floors. Get the perfect access flooring structure for your commercial buildings. At TOP SURFACE, we will augment the potential of your indoors by tucking away any visible electrical cables to create a larger space.Many of our high-profile projects are completed and our experience demonstrates that raised access floors offer lower installation costs against traditional overhead AC systems and give higher efficiency to your facility with a solution that creates maximum flexibility and value. We work with Architects, Builders and Consultants, to supply raised access floors and under structures for both – new projects as well as existing floor installations. We offer a complete range of flooring systems for every requirement and have floor matching services when only maintenance is required. We are the raised floor experts for supply and installation in the UAE. Specializing in supply, installation and upgrades of raised access floors for projects of all sizes and complexities. 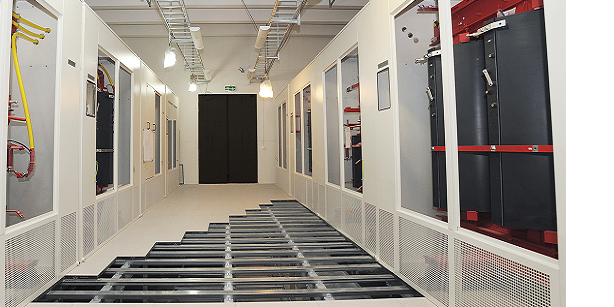 We supply and install raised access floors for projects of all sizes, from small server rooms to multi-store high-rises UAE wide. With 35+ years experience, we’ve got a proven track record in delivering on budget, on time and with expert communication.